Within two days this month, on 12 and 13 January, information was leaked concerning both the murder of three Kurdish women in Paris (on 9 January 2013) and the Roboski massacre (of 28 December 2011). The core information that came out: the Turkish intelligence agency MIT is behind the murders of a total of 37 people. The leak about the murders in Paris was a phone recording uploaded to YouTube, in which the murder suspect, Ömer Güney, talks about how the murder was planned and how the brains behind it were MIT agents. It is not certain that the voice is indeed Güney’s, but outright denials or debunks have not surfaced either. The other leak was a publication by Mehmet Baransu, journalist at the daily Taraf, about phone calls and documents showing that MIT was the source of the intelligence that Fehman Hüseyin, a high-ranking PKK member, was about to cross the border into Turkey. That intelligence most likely lead to the Roboski massacre, in which 34 smuggling citizens were killed. At first glance, it is kind of strange that MIT would be behind this. It was after all the MIT that was talking with PKK leader Öcalan up until the summer of 2011 in the so called Oslo negotiations, whose goal was to solve the Kurdish issue and convince the PKK to lay down its arms. And it is MIT that visited (and continues visiting) Öcalan on the prison island of Imrali in direct negotiations ordered by the government. What would be the MIT’s interest in complicating matters with murder? The answer, if you believe one theory, is that the power struggle between the AKP and the Gülen movement also rages inside MIT. 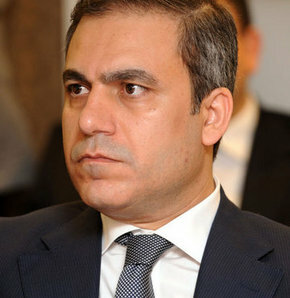 In May 2010, the MIT got a new under-secretary (the highest rank in MIT), Hakan Fidan. 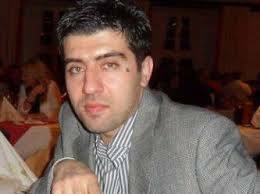 Fidan is a close confidant of the Prime Minister. He was one of those present at the Oslonegotiations, started at some point under Fidan’s predecessor Emre Taner. The Gülen movement is against negotiations with the PKK. They are trying to gain influence in the Kurdish regions of Turkey and are afraid their slowly growing strength there might be endangered if the PKK reaches a deal with the government. 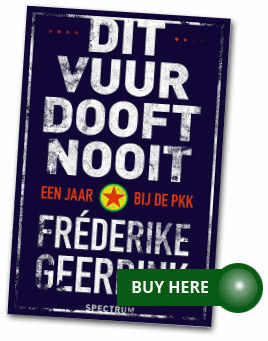 Such a deal would of course make the PKK even more popular among Kurds than it already is. The Gülen movement therefore wants to reach a solution without talking to the PKK. Hakan Fidan being appointed MIT under-secretary supposedly alarmed the Gülen movement. It came to the surface in February 2012, when the prosecutor who handled the KCK trials at the time, Sadrettin Sarikaya (believed to be a Gülen member) summoned Hakan Fidan for questioning for alleged ‘links with a terrorist organisation’. Prime Minister Erdogan quickly changed the law to keep his MIT men out of trouble and Sarikaya was taken off the case. But that did not fully solve the problem. Since the Gülen movement has members everywhere in the Turkish state machinery, there is no reason to assume they have no one in MIT. Their members would be the right people to frustrate the efforts of their own boss to make peace with the PKK. For example by orchestrating a triple murder in Paris, and by leaking false intelligence to the military and civil authorities that a high PKK member was about to cross the border from Iraq to attack the state. What chills me about this unproven theory is not only how human lives are made subordinate to the quest for power, but also how strategies can be built upon the fact that everybody within the state knows exactly how ruthless the state is. Let’s have a closer look at the theory by placing it in the circumstances at the time. During the Roboski massacre, end of December 2011, nationalist sentiments in Turkey were particularly high. That had to do with two developments, the first being the end of the fore-mentioned Oslo negotiations in the summer of 2011, which moved Erdogan to once again take a harsher stance against the PKK and approach the Kurdish issue again as mainly a terrorism problem. Second was a PKK attack in October 2011 in the province of Hakkari, in which more than 20 soldiers died. Politicians swore revenge. So when intelligence was presented that Fehman Hüseyin was trying to cross the border from Iraq into Turkey, the opportunity to take revenge was gladly made use of. Such intelligence, I discovered during my investigation of the Roboski massacre, was officially not enough to take military action and should have been supported by other intelligence, but whoever leaked the information knew the rules wouldn’t be followed when it came to fighting the PKK. If only Fehman Hüseyin had really been in the group! Then Erdogan could have celebrated the mass murder as a victory, and the dead civilians would at best have been collateral damage, at worst terrorists themselves. Well, that set-up happened anyway, only without the dead PKK member to strengthen such claims, but with a brainwashed Turkish public the story could be spinned easily. All proceeded well after the Roboski massacre – for those who did not want the negotiations between the state and the PKK to resume again, that is. The International Crisis Group used public sources to count casualties in the war between July 2011 and spring 2013: 304 on the side of the state (soldiers, police, village guards), 533 PKK members and 91 civilians (among whom the 34 at Roboski). But then, after an extremely violent summer and fall of 2012, negotiations by the government and MIT with the PKK started again, as was made public that December. 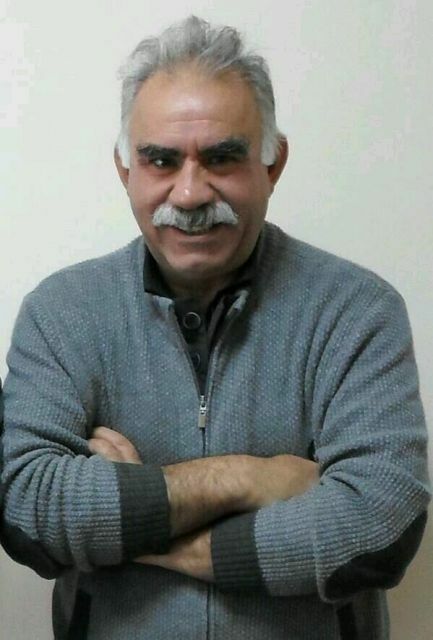 Excitement in the air: it was the first time the government openly stated they were talking with Öcalan. Soon the rumours started that the PKK would take huge steps towards peace. 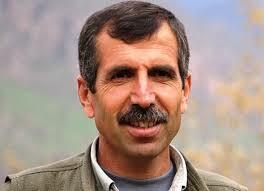 Which indeed it did: at the Newroz celebrations on 21 March 2013 Öcalan called for the end of the armed struggle. The murder on Sakine Cansiz (one of the PKK founders) and two other PKK activists in Paris, Leyla Söylemez and Fidan Dogan, on 9 January 2013, did not in the end harm the peace process, as was most likely the aim. At the funeral gathering in Diyarbakir on 17 January the Kurds didn’t call for revenge but for peace – as anybody who knows the wish of the Kurdish people could have predicted. Framing it as an inside PKK assassination to split the PKK was not successful either, just because nothing pointed to an internal PKK murder. The suspect the French police soon arrested, Ömer Güney, is believed to be a Turkish nationalist who infiltrated the PKK in Europe. If, and I repeat if, this is all true, that would mean that some similar murder could happen again. After all, the peace process between the PKK and the government may for now be leading nowhere and any concrete progress is not expected in the short term, but the process is not officially dead. Or did the opponents of talks with the PKK change their strategy, and is it no longer aiming to kill Kurds to derail peace efforts? Has it changed to weakening the people on the other side of the negotiating table, namely the government and the MIT? Is that behind the current battle evolving around corruption allegations? This all doesn’t mean that in case this theory is right, the Erdogan government is off the hook. Erdogan is ultimately responsible for the Roboski massacre. It was under his reign that weak intelligence, provided by whomever, was eagerly used to kill. And even if the Gülen movement wants to weaken the AKP to derail whatever is left of the peace process by bringing to light the corruption within the AKP government, if the AKP had taken its promise to fight corruption seriously, there would have been nothing to reveal. The Kurdish political movement hasn’t publicly made too much noise about the leaks concerning MIT. For them, all developments are very precarious: they are in a peace process with the AKP, and the weaker the AKP gets, the more the peace process is in danger. On the other hand, I believe that the BDP and the PKK don’t want the AKP to stay in power at any price. The Kurdish struggle is a long term one, the steps that have been taken (like talking to Öcalan) cannot be undone, and after all the AKP has just not delivered on its lip service to the peace process. With this year’s local and presidential elections and next year’s general elections, the AKP has another excuse not to take serious steps towards peace. A long-lasting solution to the Kurdish issue is not within reach, with or without the AKP. The Kurdish movement just has to find a way to deal with whoever is in power, like they always have done. But the BDP has asked questions about the leaks to PM Erdogan, and have asked – not for the first time – to lift the secrecy status of all kinds of crucial reports and investigations into both the Paris murders and the Roboski massacre. In the end, this secrecy and its main aim – to protect the state at any cost – is the core root of conspiracy theories that have such a strong grip on Turkey, and of the impunity with which the state keeps killing. Want an exclusive story about (the whole of) Kurdistan every week, for only 5 dollars per month? Subscribe to my latest journalism project!